We picked up these fine hardwood sauté tools from Geoff Fisher at his home in Northern WA. He and his Jack Russell terrier greeted us at the end of a dusty driveway with a heaping box of freshly picked tomatoes from his organic garden. 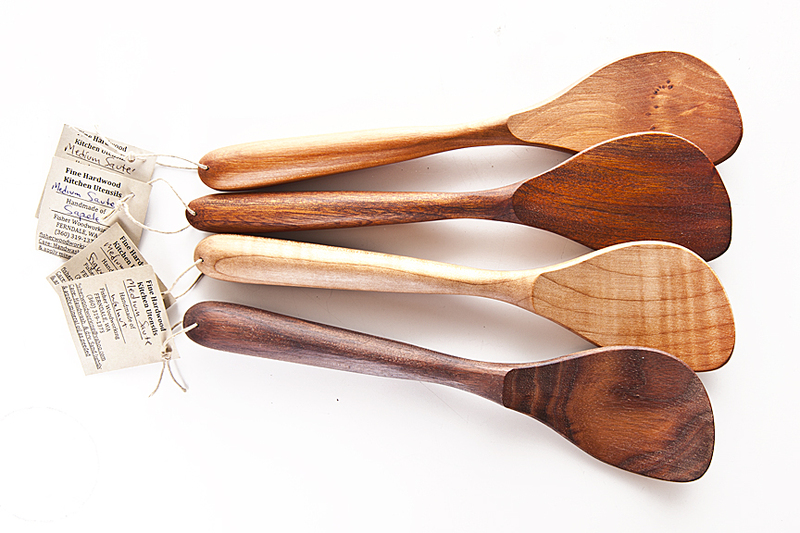 Geoff is a master woodworker and over the past fifteen years has honed the art and science of creating amazing handmade kitchen utensils. Whether Geoff is in the garden or in the shop, we know he is up to something incredible! 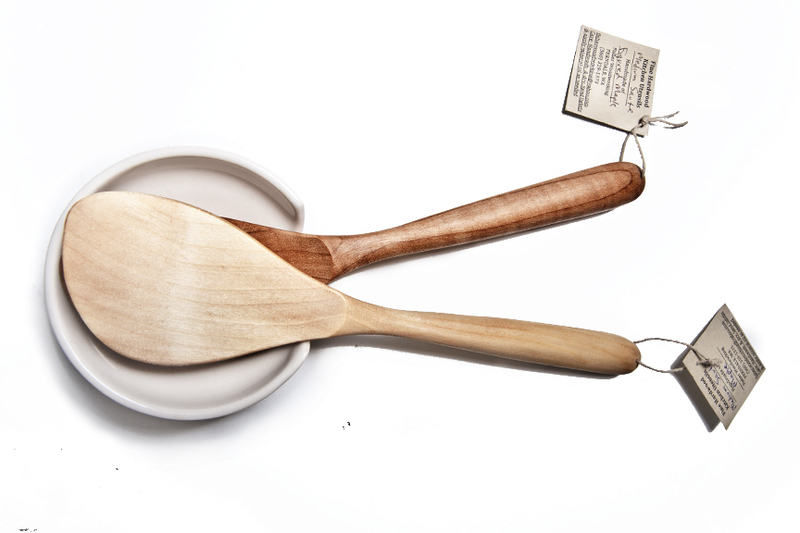 Geoff uses only fine hardwood scrap wood from his neighbor's commercial cabinet shop and finishes his utensils with safe, all-natural oils. We know his ergonomically designed sauté tool won't leave your hand while making a favorite soup or dish. 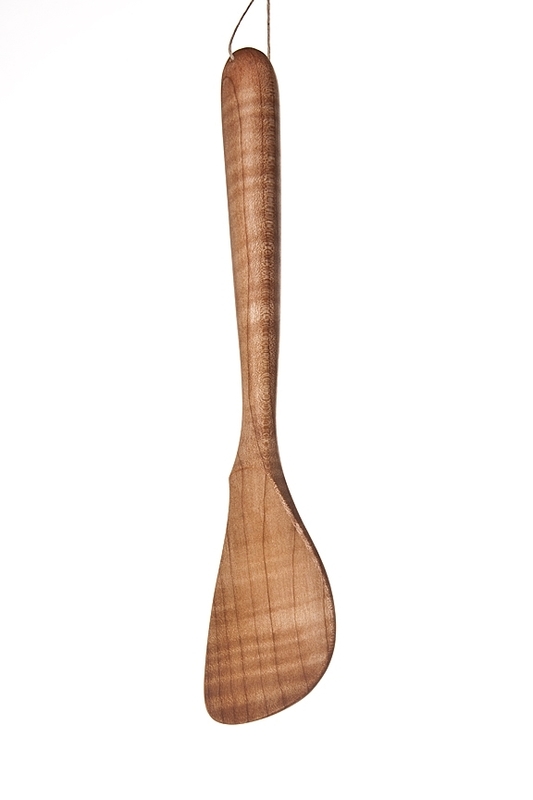 Trust us this wooden spoon will be in your family for generations!